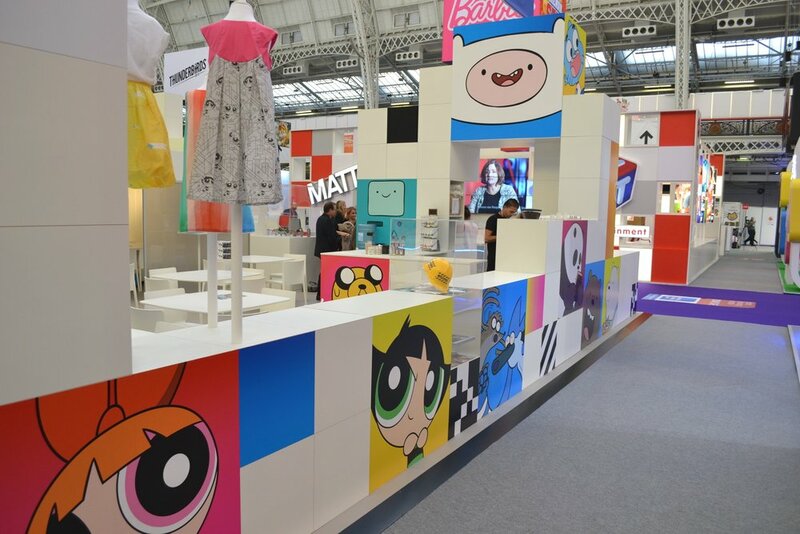 Working once more with Root for Cartoon Network, Roberto's team designed, fabricated and installed a trade stand in Kensington Olympia for the Brand Licensing Europe show. 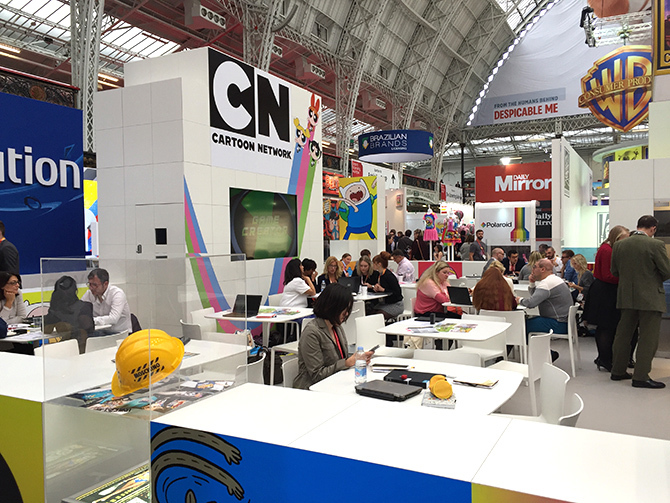 Components for the huge amount of cubes were cut on a CNC machine and then completed with graphics depicting cartoon characters. These blocks allowed for speedy building of the walls and rooms on site and the lamination process ensured a high-quality finish and meant that no finishing had to be done on site during the one-day installation. Also, some integrated cube-shaped LED screens were used to animate some of the cubes, bringing the stand to life.